Palm Springs Modern: Mid-Century Architecture Tours. 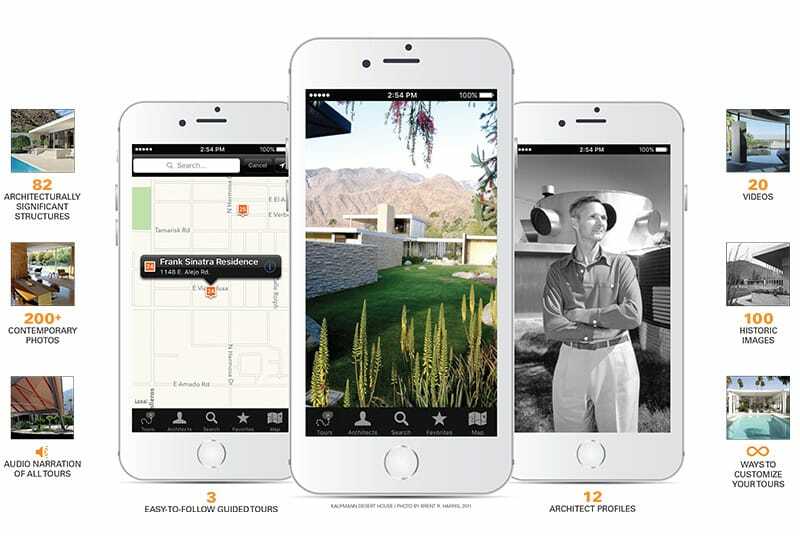 Palm Springs Modern Committee, in collaboration with Palm Springs Life, has launched a multi-platform electronic application, Palm Springs Modern: Mid-Century Architecture Tours. The app features three tours of over 80 architecturally significant and internationally renowned modern homes and commercial buildings throughout Greater Palm Springs. The app also presents in-depth profiles of 12 leading modernism architects; video access to interiors and exteriors of premier properties; new and historic images, including over 70 never-before-published Julius Shulman photographs; all written and narrated by top architectural historians and experts. This application contains embedded high-quality video, photo, and audio content. Because of the large size, download time take up to 45 minutes based on your internet connection speed. You will need a WiFi connection to download the app to your device. Once on device, “checking for updates” may take an additional five minutes.